Towns and cities in the United States are dotted with historical buildings, many of which are underused or have been abandoned entirely. 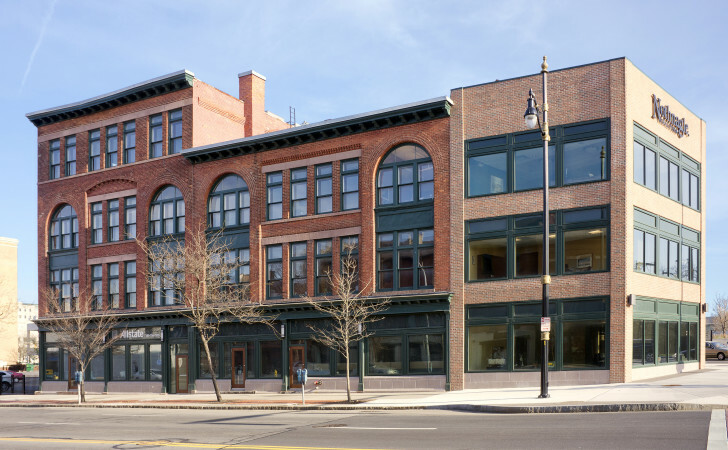 With unique architectural features and plenty of floor space, adaptive reuse of these existing buildings is increasingly popular. This process is more affordable than new construction and can give your business location a certain authentic charm, especially if you have the help of an architect. Retrofitting an existing building to meet your needs is difficult, and trying to work around existing architectural features can make it harder. A skilled architect with experience adapting historical buildings will find innovative solutions to your project’s specific challenges, so you can retain the windows, woodwork, and other elements that made the historical building so attractive in the first place. Many historical buildings lack the infrastructure a modern business needs, such as adequate electrical supply, data lines, or air conditioning. Improvised solutions may have visually unappealing results, like loud window-mounted air conditioners and wires running from room to room. Fortunately, a reliable architect can identify these issues before they arise, and they’ll know how to make a 19th-century building ready for a 21st-century business. Many old buildings are located in historical districts, some of which have strict guidelines about how structures can be renovated. An architect with an understanding of your local requirements will secure the necessary permits and create a design that satisfies your needs while staying within the guidelines of your local historical preservation society. As one of Rochester, NY’s most accomplished architectural and design firms, Pardi Partnership Architects PC offers clients in a broad range of industries a comprehensive range of services. This collaborative team of architects, designers, and other specialists has the vision and skill set to handle even the most challenging adaptive reuse project. Visit their website and Facebook page now to see some samples of their work, and call (585) 454­-4670 to discuss your project with a member of their team.